Don’t Call Me Dave wishes a Happy Purim to all his Jewish readers. It is a tradition to celebrate Purim by wearing fancy dress. 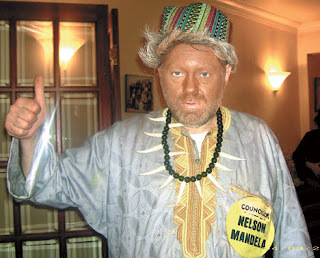 Former South African President Nelson Mandela is pictured right, joining in the festivities by impersonating one of Barnet’s most distinguished councillors.